I came across an interesting search engine the other day which appears to be heading in a completely different direction to practically anything else available at present.As you probably know, search engines function by using crawlers that search the Internet endlessly picking up new and revised content and then cataloguing the whole lot neatly in a central database.When a user types in a phrase, the search engine refers to this database and, by using a number of algorithms, returns the sites that it feels most appropriate. The relatively new search engine Mahalo (Hawaiian for ‘Thank-You’) puts a spin on proceedings by pitching itself as a human powered search engine.Of course this doesn’t mean that whenever you perform a search that humans immediately start searching the net for relevant material, but rather that contributors create their own results pages which are then returned when a specific search is performed.The idea verges on the ridiculous but does certainly hold some merit. The obvious downside is that humans simply can’t keep up with the speed of the crawlers that the likes of Google use; the computers running these crawlers are online 24 hours a day, 7 days a week and can sift through entire websites in seconds, noting every last detail as they go.A human based search engine is always going to be comparatively out of date and limited in terms the amount of material that can be catalogued. As I said, there are advantages but these can only really be appreciated by using it.Head to www.mahalo.com and type in a phrase that interests you – I remained topical and typed in ‘Gordon Brown’ since he appears to be hitting the headlines a fair bit at the moment.Mahalo immediately returned to me a quick overview on the man, a photo, twelve fast facts and a large number of vetted websites with useful information which have been split in to a number of useful categories such as ‘recent news’, ‘Brown Blair Changeover’ and ‘Controversies’.In contrast, if you type the same in to Google it immediately returns 13,000,000 results for pages which mention the words Gordon or Brown; of course the most relevant sites are at the top but it still is a little more cumbersome to navigate. It is also fairly safe to say that humans are better equipped to work out what other humans will find interesting and as such you won’t find links to any pages that contain adult content, hate speech, spam, intrusive advertising, malicious material and even sites written with a poor grasp of the English language. The amount of content is incredibly underwhelming; a search for Paignton yielded nothing and then more worrying even the entire county, Devon, came back with no results.In its defence, the site is only a year old and there is a lot of information to be catalogued so it will certainly take some time however even at this early stage such lack of scope is worrying.I fear that unless there is a serious amount of manpower that any existing results could also soon become stale and irrelevant. 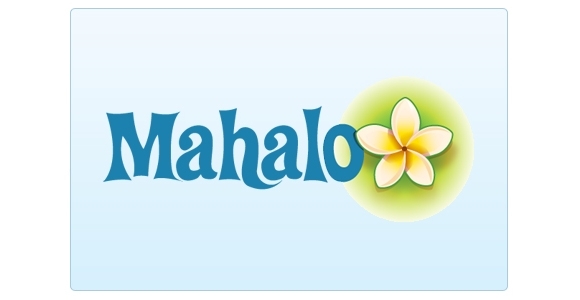 Mahalo will never be able to compete with the likes of Google in terms of the sheer scope and depth of results but to compare the two against each other would be missing the point.Mahalo isn’t trying to be Google; it is a humanly edited search engine which is being built to provide relevant, human picked material for popular subjects.Google on the other hand is a vast machine driven database of over 100,000,000 websites which is added to every second of every day.They both have their purpose, and as such would hope that there is room for them both to peacefully co-exist.